When you ask Gary Gurwitz about South Texas College’s greatest accomplishments, he doesn’t talk about 2013’s $159-million bond measure; he doesn’t talk about the 564,548 square feet of new facilities that have just been added; and he doesn’t talk about the millions of dollars in endowments he and his colleagues have helped secure. Instead, he talks about students. As STC celebrates its 25th anniversary, there is perhaps no one more qualified to reflect on STC’s accomplishments. Gurwitz, who received his Doctor of Jurisprudence degree from the University of Texas School of Law in 1959, has practiced in McAllen ever since. He has also remained active on STC’s Board of Trustees, which he joined shortly after its foundation. “When we first started, we held classes anywhere we could,” reflects Gurwitz. “Some of our first classes were in old laundromats. And for a while, we couldn’t make payroll. One thing we did do right was hire Dr. Shirley Reed. She really knew what she was doing and the trustees considered and supported her programs. Under Dr. Reed’s leadership, STC has come a long way from those early classrooms. With nearly 34,000 students, a faculty and staff of more than 1,600, over 120 different degree and certificate programs, and several state-of-the-art campuses and higher education centers, STC has become a hub for industry training and workforce development in the region. “If you talk to the head of our economic development council, our mayor, any of our elected officials, they will tell you that the single most important thing that has happened to our region in the last 25 years is STC,” says Gurwitz. Over his time as a trustee, Gurwitz has watched the Rio Grande Valley transform from a mostly agrarian culture, with unemployment rates nearing 20 percent, to a bustling destination for families and businesses of all types. Throughout it all, STC’s role has been critical. In addition to providing affordable and convenient access to education and career training, Gurwitz notes that STC’s impact extends beyond the degrees and certificates it grants. Nurturing this “college-going mentality” is one aspect of STC’s widely successful dual-enrollment program, another accomplishment that Gurwitz takes special pride in. 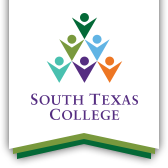 Founded in 2003, STC’s Dual Enrollment program has allowed an estimated 95,000 students to attend college, tuition-free, while finishing their high school diplomas. This has saved families more than $180 million, according to estimates. At the same time, STC’s program has become one of the largest in the state and is often cited as a model of collaboration and success at the national level. Gurwitz, for his role in STC’s success, has received many honors, including the prestigious M. Dale Ensign Leadership Award from the Association of Community College Trustees. Still, Gurwitz remains humble about his achievements, seeing STC’s growth not as evidence of any one person’s efforts, but as proof that its core mission is sound. As for the future of STC, Gurwitz sees more of the same. At least that’s what he hopes.